Regional Express (REX), 3 flights a week (Monday/Tuesday/Thursday) between Adelaide - Port Augusta - Coober Pedy return. Premier Stateliner services rural SA from Adelaide with scheduled services to and from Port Augusta, Whyalla, Port Pirie, Port Lincoln, the Eyre Peninsula and Ceduna on the West Coast. Greyhound Australia travel between Adelaide and Alice Springs daily stopping at Port Augusta along the way. 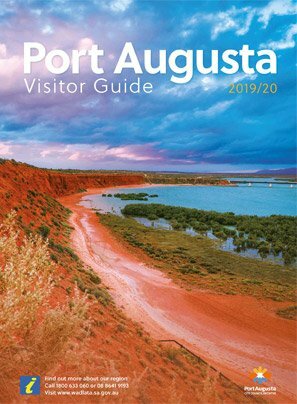 The Port Augusta Bus Service provides a service Monday - Friday, covering all areas of Port Augusta and Stirling North hourly. Port Augusta has two Taxi services that operate 24 hours a day. Pre bookings are welcome for pickups from the Railway Station, Airport or Coach Terminal. While currently there is no regular service departing Port Augusta for the Flinders Ranges, a range of vehicles can be hired from various hire companies in town. Alternatively Tour Operators and Taxi companies in the region are able to provide a transfer service to various locations, subject to availability. Contact Wadlata for additional information. Arid landscapes are incredibly fragile and support a wide range of truly unique and amazing plants and animals. Every step off the path or wheel off the track will have a lasting impact. If you are not travelling through a national park or conservation reserve, you are likely to be travelling through a pastoral property - someone else's backyard - where people manage the landscape to make a living. Below are 10 top tips to help enjoy your stay, and look after the landscape. 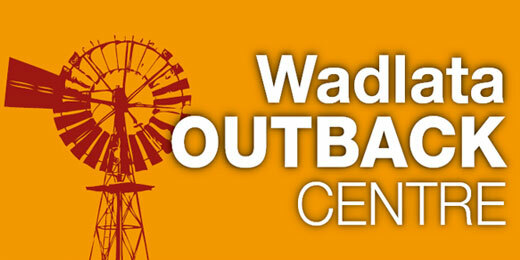 Travelling the Outback can be truly amazing but it is very important to be well prepared, the below link contains helpful information on outback safety, road conditions and travel tips to assist with this.